Let’s take a look at a few blue & black cards from TB03! 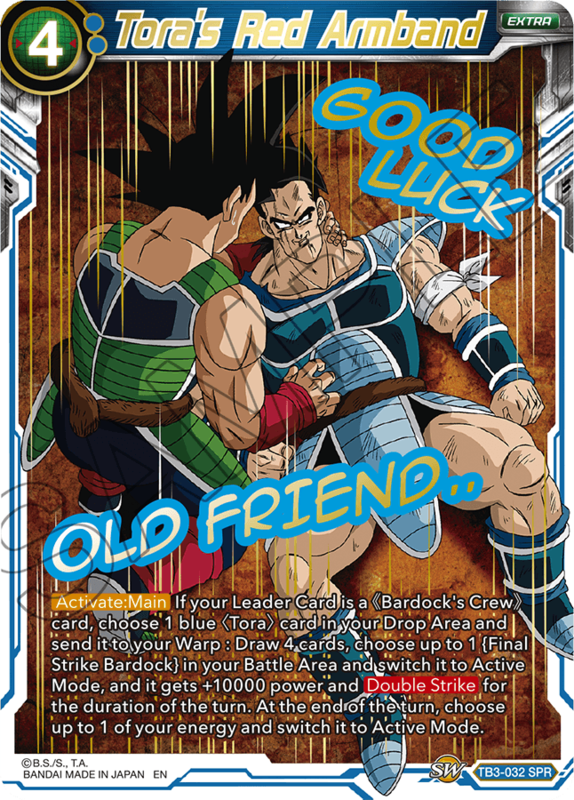 Blue in TB03 is mostly focused on Bardock Saga! 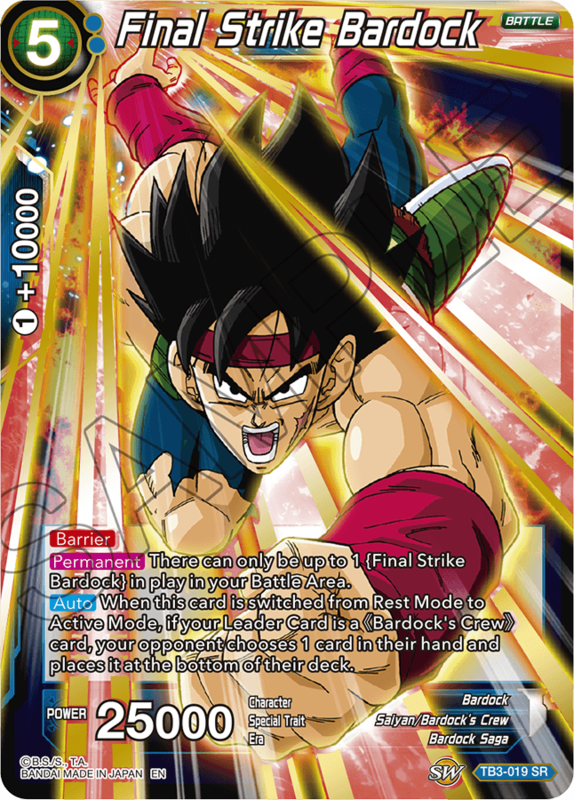 Bardock fights back using the power of his friends. 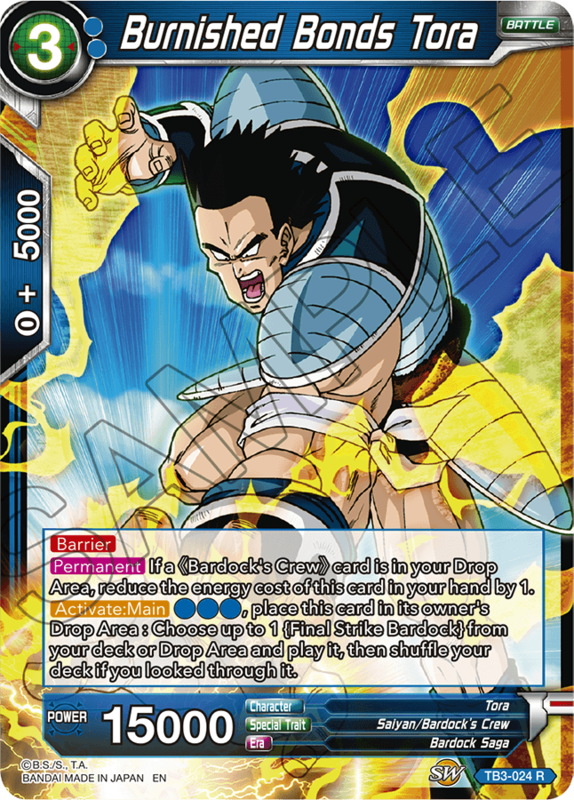 If members of his crew are in the Drop Area, this powerhouse of a card can negate your opponent's attacks! At first glance, this effect might seem pretty ordinary. But when combined with the effect of the Extra Card "Tora's Red Armband," it becomes a devastating card with a total of 35000 power and Double Strike, and it even forces your opponent to place a card from their hand on the bottom of their deck! The Special Rares in this series are full recreations of famous scenes from the show and movies, including famous lines from your favorite characters! We hope you'll look forward to some of the other famous scenes on these cards! 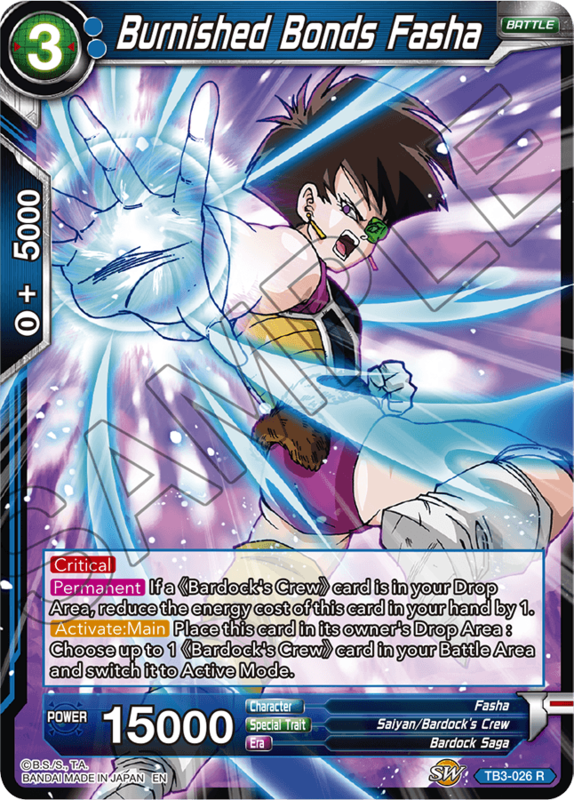 Tora entrusts Bardock with a mission to avenge his friends, which means you get to draw four cards and power up the Super Rare 5-drop Bardock! 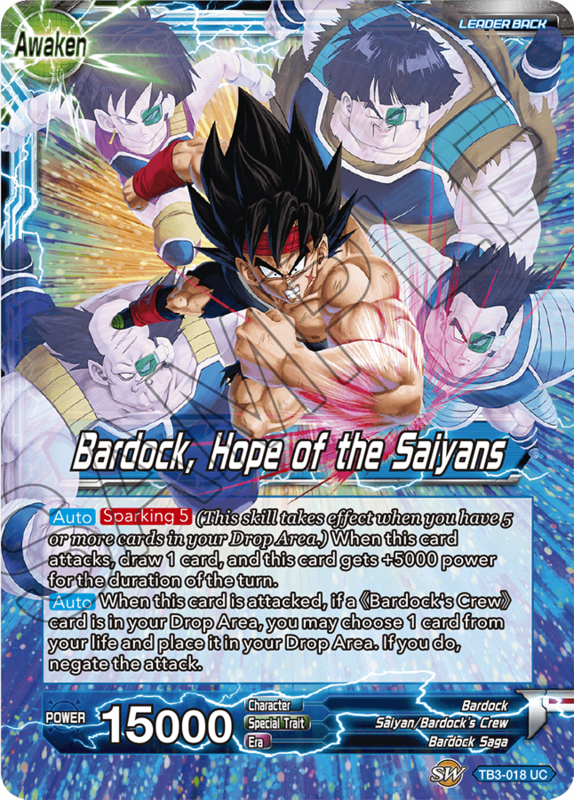 A cycle of Bardock's Crew cards in this series get stronger when their allies are in your Drop Area! This one can set your Battle Cards back to Active Mode, giving you the strategic advantage you need to win games! 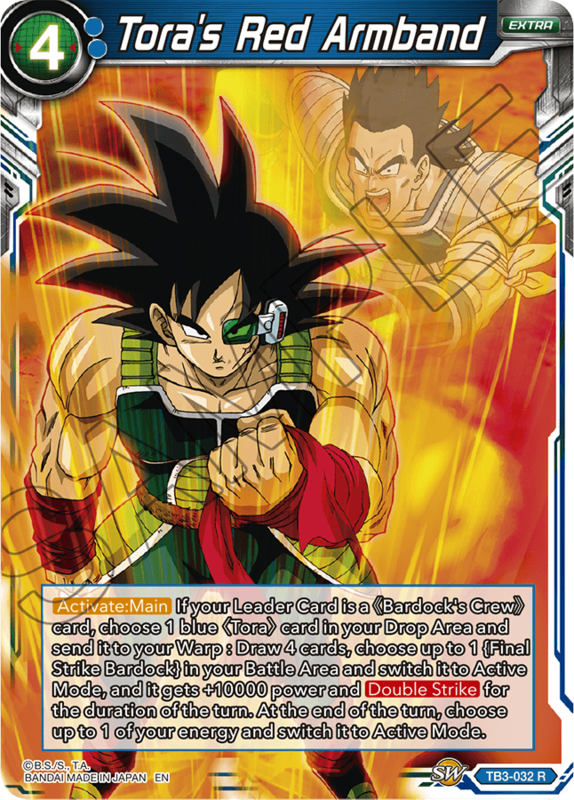 This card helps you bring out the super rare Bardock, and provides synergy for combos with other cards! 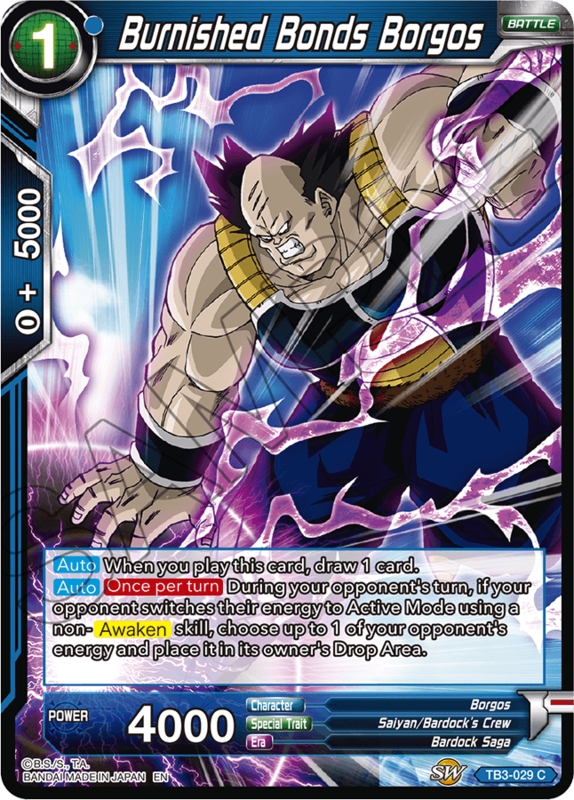 Borgos shuts your opponent down with an auto skill that locks their energy down in Rest Mode! And since he’s a 1-drop, you’ll be able to execute the strategy right from turn one! 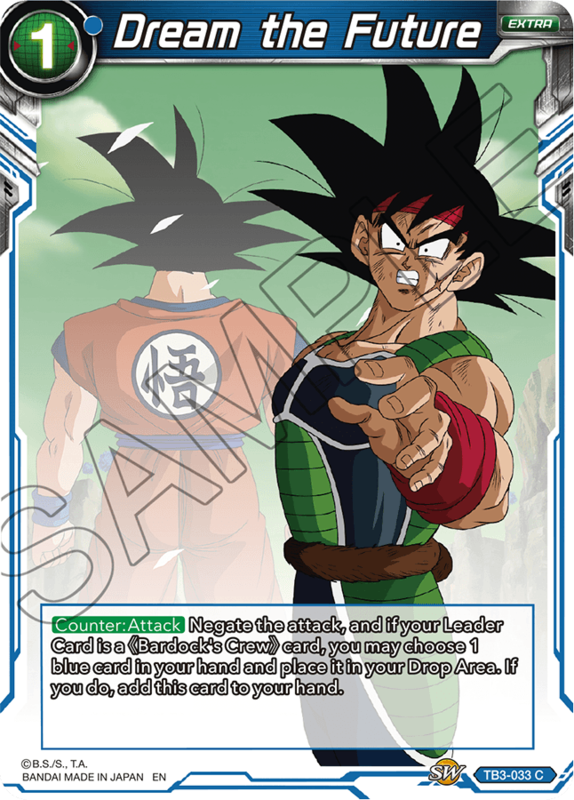 This card recreates the scene where Bardock learns the fate of his son. Meet the conditions, and you can return it to your hand as many times as you want! 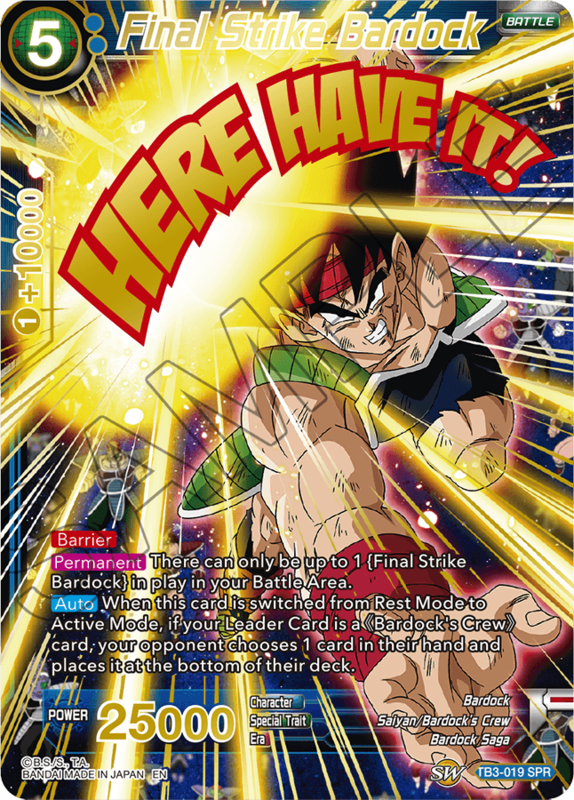 Can you see the future of your opponent's strategy like Bardock saw the future of his son?! 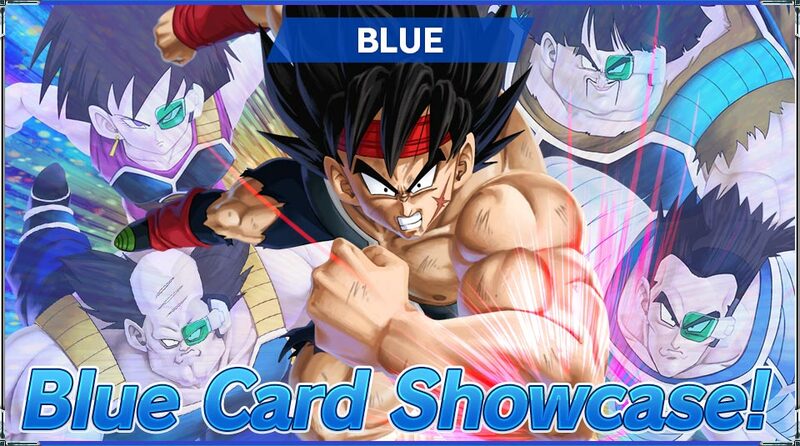 Blue features cards from the Bardock Saga! 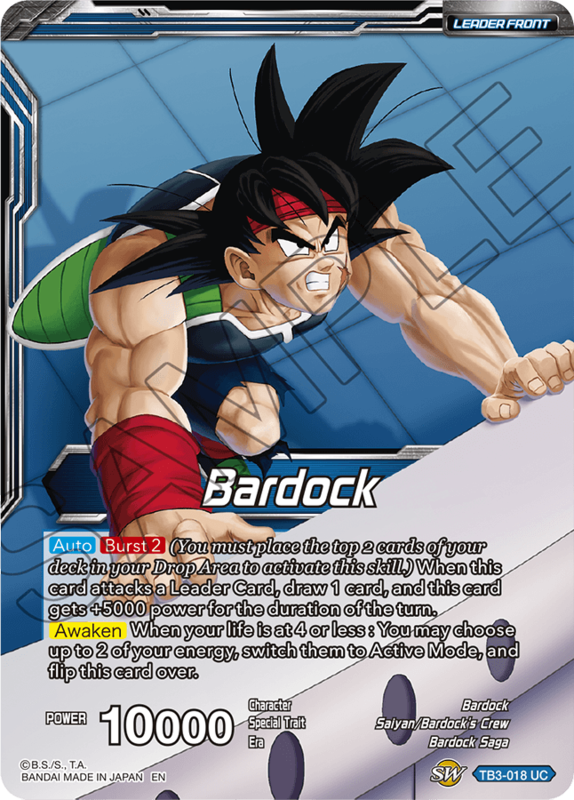 Build a deck with Bardock’s Crew and seize victory!